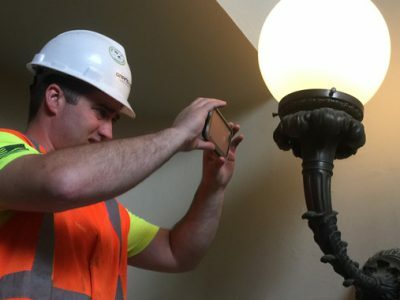 Grand Light was selected by CBT Architects, Colantonio Inc, George Sexton Associates, Building Conservation Associates, and the State of Massachusetts to restore existing historic lighting fixtures while designing and manufacturing custom lighting fixtures for the Senate Chamber renovation project. 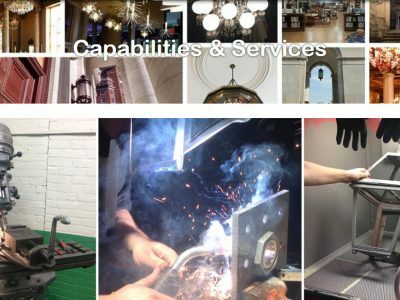 We are pleased to announce the launch of new GrandLight.com features, sections, and resources to better serve our customers and the marketplace, including the brand new 2018 Lighting Restoration & Custom Lighting Resource Book. 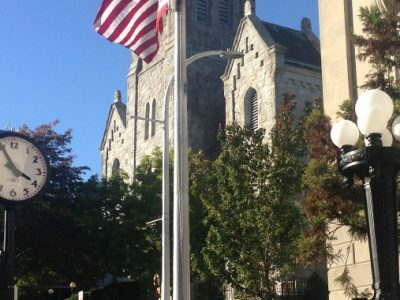 Grand Light restored the large historic exterior lanterns located along the West Point Pershing Barracks facade. 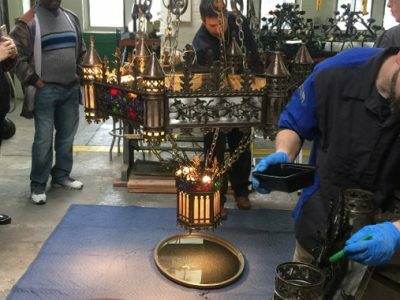 These beautiful lanterns were restored using a plethora of restoration techniques including surface preparation, application of rich epoxy primer, and an exterior architectural semi gloss black powder finish. 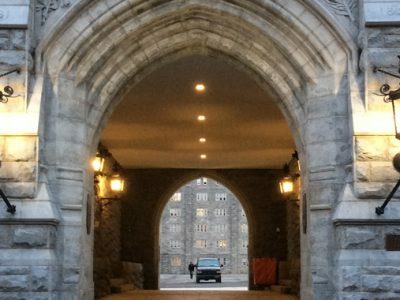 Grand Light recently examined, documented, removed, and stored the existing historic lighting fixtures from a prominent Ivy League School. 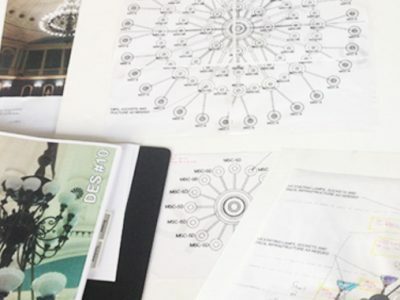 Check out a sample of our Historic Lighting Evaluation Report and contact us for an on-site visit and fixture survey. 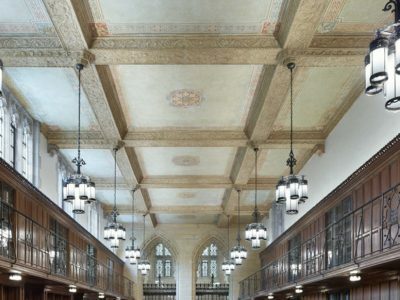 Grand Light restored and custom modified about fifty large bronze pendant lights and ceiling mounts from Yale University's Sterling Memorial Library Manuscripts & Archives renovation project. 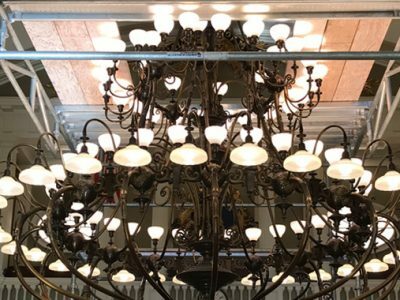 Recently our Grand Light team finished a 200+ page condition report documenting the restoration of a historic 30ft+, 112 light multi tiered chandelier modified to accept LED lamping technology. 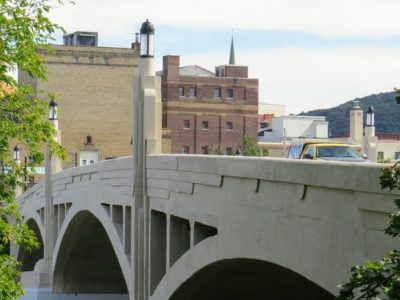 Grand Light was selected to restore large historic early 20th century cast iron exterior lighting standards and a cast iron street clock located along the New London City Hall facade. 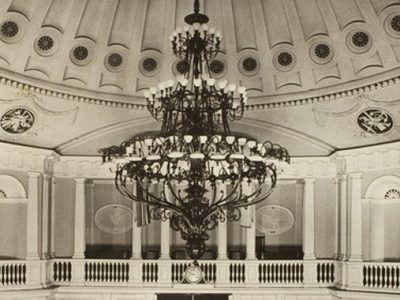 Grand Light was selected to restore existing historic lighting fixtures while designing and manufacturing custom lighting fixtures for the Senate Chambers renovation project.